1, 2, 3 for British Microlighting team! 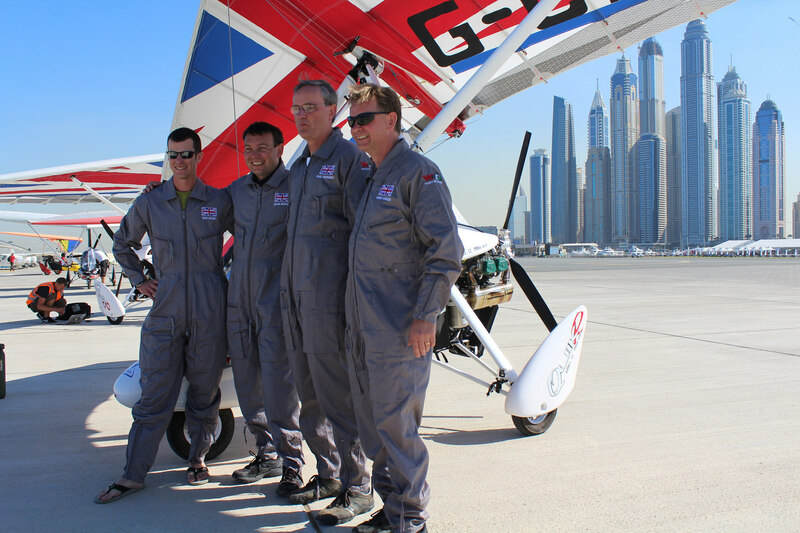 Team GB scooped the top four places in the Weight-Shift Controlled Microlighting event at the FAI World Air Games today, with 34-year-old David Broom clinching the coveted gold medal spot. "It was a tight competition all the way to the end," said Broom, who has been flying since he was 17. "It all came down to the final race. I had a six-second lead going into it, but if the wind had been stronger it would have made for a faster time and the competition could have been anyone's." Broom was followed in the ranking by Brits Paul Dewhurst in second and Rees Keene in third, with the UK's Mark Fowler just missing out on a podium place in fourth. Spaniard Manuel Rey came in fifth. The French team's aircraft was more tuned to short take offs, and some speculated this would be an advantage in the structure of the competition. But a couple of mistakes dropped valuable points, and an engine-out in one of their planes meant it landed in the surf and had to be retired. Microlight manufacturer P&M Aviation were backing the British team with technical support, including wing batons that tuned the shape of the planes' wings shape to suit the conditions. The course was tightened for the final race, forcing the pilots to fly their crafts right to the edge of their capabilities. The medal ceremony will be held on Saturday.